Used as a diagnostic tool, Panorex X-rays help Lilac Family Dental diagnose dental problems, TMD, oral cancer, jaw problems and gum disease. A Panorex X-Ray takes a panoramic picture from ear to ear of your mouth, teeth, gums and jaw. Commonly taken at an initial visit, the Panorex X-Ray is very effective at giving the doctor a detailed look into your overall oral health. Panorex X-rays, unlike other types, do not require a piece of film to be placed in the patient's mouth. This can be helpful for children who gag easily or who have small mouths. 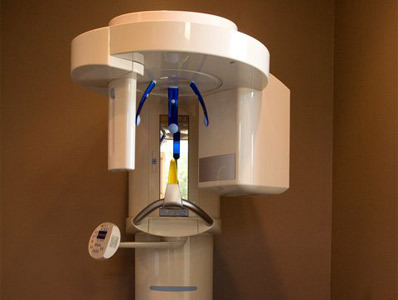 In addition, Panorex X-rays emit less radiation than a full set of traditional dental X-rays.